Feeling like sleep is against you right now? Parenthood is tough enough with the day to day challenges it throws at us, I can help you with one of them… SLEEP! Once this piece of the puzzle is resolved you will find that everything else will be so much easier to deal with. 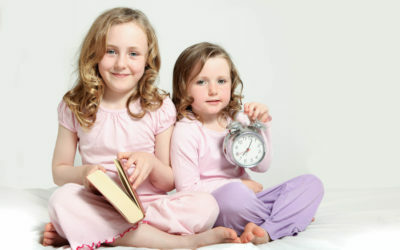 It’s amazing what a good, restful night’s sleep can do for your child and your family. I will provide you with the tools and strategies to get there. 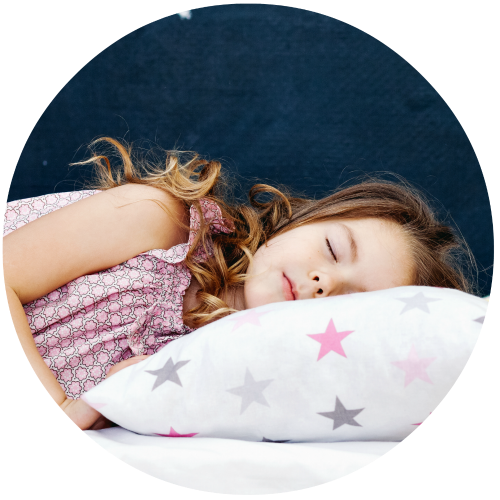 My main goal is to give you the confidence to tackle bedtime, to create calm evenings, and for children to get the rest they need and deserve. I want parents to get the time to recharge their batteries and to continue to look after themselves too. The better rested us parents are the more we get to enjoy this journey. But no two children are the same, just as no two sets of parents are the same. Your child’s personality, along with your own parenting style, plays into how I approach creating a custom plan for your little one. That said, there are some significant differences between different ages, as there are developmental consistencies that need to be taken into consideration. Download your FREE copy of my "Getting Started" guide. Success! Check your email for your free tips. Be sure to check your Spam folder! Now that you are home, are you wondering how long your baby should be sleeping? Are you worried that you will spoil your baby by holding them too much? Are you so exhausted that you don’t have time to read a book and would rather have someone tell you what your baby’s sleep needs are? Do you know someone who’s having or just had a baby and wondering what gift to give them? Will your child only fall asleep when nursing or bottle-feeding? Does your child need a soother or pacifier in order to get to sleep? Are you waking up with your child once, twice, or more times a night? Does your child need to be rocked, bounced or taken for a car ride in order to take a nap? Is your own lack of sleep starting to get you down and taking its toll on you and your family? Is your toddler/preschooler asking for one more hug, a glass of water, or extra reading time at bedtime? Have you recently transitioned your toddler into a bed and are you having nightly visits? Is your toddler full of energy at bedtime, taking hours to fall asleep? Is your toddler up at 5 A.M ready to start their day? Is your toddler ready to give up naptime or resisting their naps? It’s hard to overstate the importance of sleep for your little one. It’s a significant part of their healthy development, allowing them to grow and mature with the rest and energy they need. 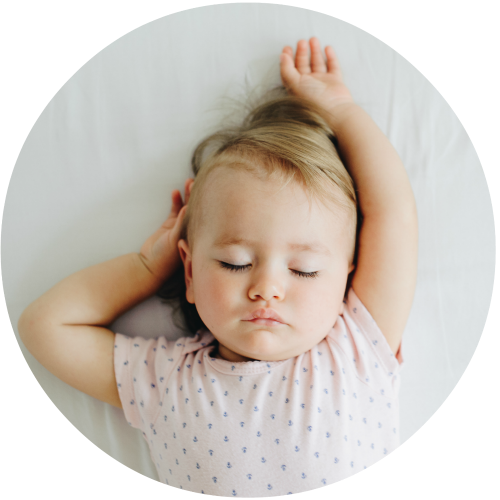 It can be difficult to see how this affects them on a day-to-day basis sometimes, but science has proven just how important it is for babies and children to have healthy, consistent sleeping habits. And, of course, the same is very true for us adults! The immediate effects of a child struggling with their sleeping habits are much more easy to see and feel. 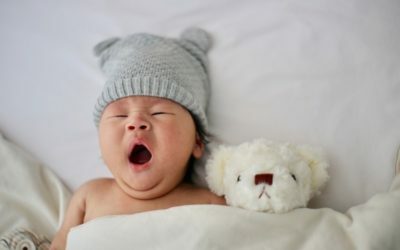 The lack of sleep that parents experience as a result of their little one’s struggles can cause a tremendous amount of stress, frustration, and anger. It can be a confusing, difficult time, placing undue tension on your relationship with your little one and your significant other. One of my greatest joys in helping parents with their little ones is seeing the changes that happen in their relationships – the relief, joy, and happiness returns, and it can feel like you’ve finally come up for air after feeling as if you were drowning. That, coupled with the healthy sleeping habits that will help your child become everything they can be, makes this incredibly important for each and every family. Have questions about which package works for you? Want to see if we’re a good fit? Not sure how sleep consulting works? This is the perfect time for you to book your free, 15-minute consultation with me! Yes! I want to have a call with Seema. Whether you have a newborn or you are dealing with the terrible twos, I can help you and your little one get the rest you need! I offer sleep consulting packages starting with newborns. Your little one can sleep! I'd like to see all services offered. Not ready to commit to a package yet? No worries! Take a look at my blog to read some free articles I’ve written for parents like you! Feel free to share them with your friends or other mamas you know that are struggling with sleep! Seema was great! She helped convince us that our kids didn’t need all the “sleep props” we had been using. We learned that they were actually doing more harm than good. Our kids now sleep till 6 (they were waking up at 4:30), go to sleep no problem, and use “big boy beds”. I feel like I have my life back! I have much less anxiety about sleep and naps and the general schedule now. Thank you so much, Seema. You really made a difference in the quality of our lives! The girls are happier and so are my husband and I! We are so grateful for your patience and support. Lily is crying a lot less in her crib and sleeping for longer than ever before. She wakes up happier and goes to sleep without any complaints. Her sleep improved very quickly. Thank you so much for giving us all the gift of sleep! Seema was supporting us while we supported our son. The plan taught us ALL how to manage healthy and unhealthy sleep habits. We can’t express enough our gratitude to Seema for saving our sleep, not only once, but twice! Like most sleep consultants, I got started through my own experience. Raising my two daughters has been one of the great joys of my life – but it’s also been difficult at times, especially the sleeping side of things. Like many parents, I found myself in a tough spot. 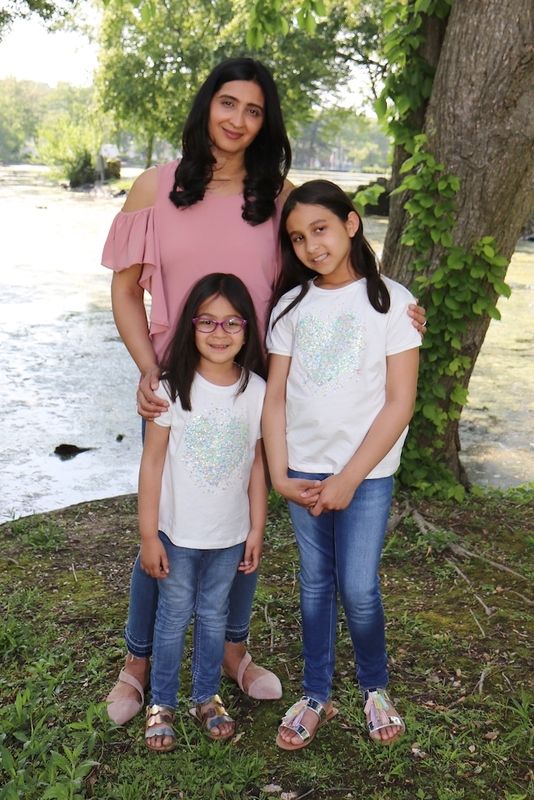 I was willing to give everything I could to my girls, but I couldn’t deny the fact that I also needed sleep, along with time to focus on myself. In the whirlwind of parenthood, that became extremely difficult, and I knew something had to change. After having success with my own children’s sleeping habits, I decided to help other parents achieve the results I had found. I decided to go through Dana Obleman’s Sleep Sense™ program, training directly with Dana. The Sleep Sense™ program is an amazing method that I now use with each of my clients. 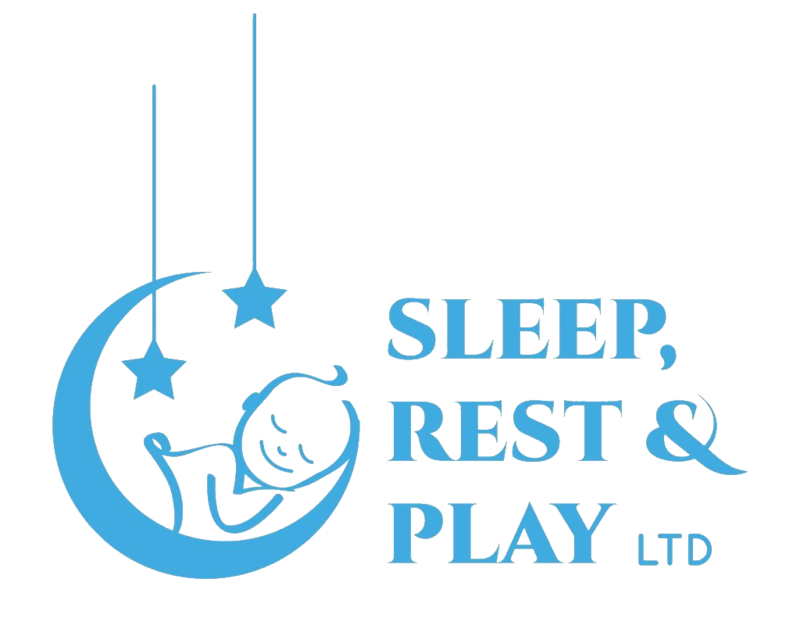 It provides a thorough, systematic approach to helping children develop healthy, independent sleeping habits while giving parents the space to relax, sleep, and spend time on things they enjoy. If you’re in the midst of the sleeping struggles, don’t hesitate to reach out to me. I’d love to help! 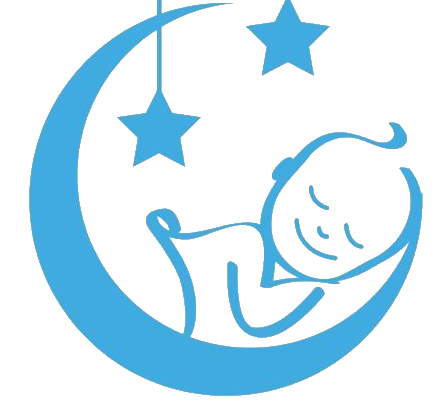 As a sleep consultant in Long Island (and helping families all over the world! ), I regularly do free consultations with parents looking for more information, and I’d be thrilled to support you and your family through this challenging time. I know it can seem hopeless at times, but don’t worry – that’s just the exhaustion talking!